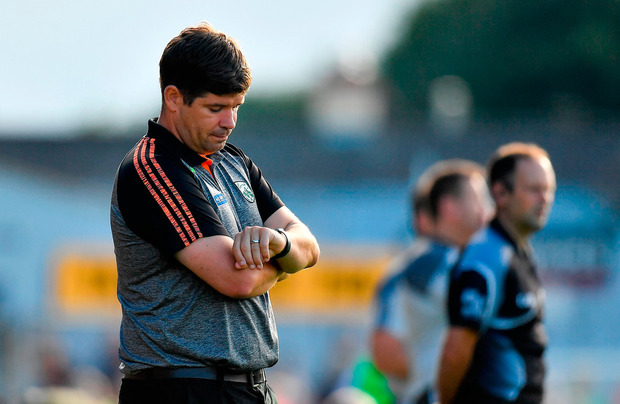 Kerry boss Eamonn Fitzmaurice has stepped down after his team failed to progress from their Super 8s group. The Kingdom were beaten by Galway and needed a last-gasp David Clifford goal to rescue a point against Monaghan. Victory over Kildare today proved too little, too late as Monaghan crushed Galway in Salthill to top the group with the men from the west finishing second to set up an All Ireland semi-final against Dublin. "With heavy heart we announce that our Manager Éamonn Fitzmaurice has stepped down," read a tweet on Kerry's official account. "We cannot thank @efitz6 enough for all he has done for Kerry GAA. He is a gentleman to the core and has given everything for the cause. We wish Éamonn and his family all the best." He told RTÉ Sport: "It’s time. It’s time for me and it’s time for the players as well. "From my own point of view I have had six fantastic years. I have lived the dream and it’s a privileged position. "With a new man in charge, it will hopefully afford him a bit of time and space, a bit of patience within our own county to allow them to develop to their full potential. "I genuinely think they will benefit from a change of voice. A new scene and a new energy."